As a full time teacher of English as a Second Language I come across many ways in which to encourage learners to activate their acquired language. During this summer (2013) I was teaching teenaged Italian students in Ireland, and I found that more so that my past experiences, my students were very active online. I thought of ways in which I could get them to use this interest in a lesson. I had an idea courtesy of the Korean tumblr, koreanstudentsspeak.tumblr.com. I would give the students a lesson which focused on how the felt expressing themselves and how they, as teenagers, could express themselves in society. I talked to them about how they used the internet as a means of expression, and if they found it to be important. There was a resoundingly positive response. They were then asked the design a poster, which gave the impression that it was a status update, and I then took their photograph and posted it on Instagram. And from here it could be shared, tweeted, and commented on. These are the photos I took of the students during the lesson, as well as a few from afterwards which I think you’ll like. Italian Students Speak, a set on Flickr. No two cultures are the same but every one is similar, right? You could certainly say that about much of Europe, where thousands of years of breeding, trading, warring, traveling, and sharing across ever-shifting borders has caused a mixology of international characteristics of which one can be difficult to discern from the other. In Asia, it is a little more difficult to separate the differences because the continent has suffered less fluctuation of its borders, and in terms of today’s map, colonialism for the most part decided on today’s borders. But still you can throw in the changes, regardless of actual influence, of international trade, development, colonialism, the sharing of ideas, television, and migration, and the wind at the weekend if you wish, and you will soon realise the stark similarities between peoples and cultures there. Now that might seem like a simple notion, and it is, but if you take away cliché comparisons such as the idea that your culture and my culture are very musical, or that we have a distinct cuisine, or family is central to the social contract, then you have to get off your armchair and take a look a little closer. When I first came to Korea from Ireland I was fascinated by the notion that the Koreans were called by someone as the Irish of the east. I thought to myself as I spent more time here that this was something to connect me with the country, that it was something stronger than the bonds which other nationalities might ascribe to their connections with Korea. But those reasons for which Korea is lauded for its Irishness really didn’t appear to be that strong. Of course there are very strong reasons for calling Koreans the Irish of the east, such as our tenacity for drinking, our colonial history, the fact our country is divided by a significant border, we’re stuck between two significant world powers, we both have a distinct national cuisine, and we’ve a social structure which focuses on both age and gender hierarchies… oh wait forget the other two. You see, the whole comparison thing between Ireland and Korea seems to be done by someone who sat down with Wikipedia one day and got this notion into their head that Ireland and Korea are very similar. I suppose they are in some respects but in many respects they are far from complimentary. For example if you considered the alcohol consumption aspect you run into problems. Anyone who has ever drank knows that there is an etiquette to drinking, sometimes very formalised and other times apparently informal, but there is always a way to drink. When we think about drinking, in countries that drink a lot, how we drink and what drink is far more important than how much (because we already know that’s a fair amount). Now if you’ll excuse me if I turn to some reliable Wikipedia statistics. In terms of thirst Ireland and Korea are ranked quite closely together , but you can’t help but notice that Ireland is not the only country on the top half of that list with a dark history linked with its geopolitical situation. Yes, being fond of a drink is a stereotype both countries fall into, but it is by no means an exclusive club, and if anything it hardly characterises the entire culture and people (but in fairness it probably does). There are of course many similarities between the people of Ireland and Korea. In the same respect, similarities exist across the entire planet and to single them out as unique to Korea and Ireland, or indeed only to Ireland and to Korea would be selling things a little short. Take for example Italy, or indeed Italians. For the past four weeks I’ve been teaching Italian high-school students in a summmer camp just outside of Dublin. This isn’t the first time I’ve done it, and if I do come back to Ireland for the summer I use this work as a means of earning a little pocket money for the adventure. It’s generally good fun, and interesting from a teacher’s perspective to meet students from another country where English is also considered very important for university and employment prospects. 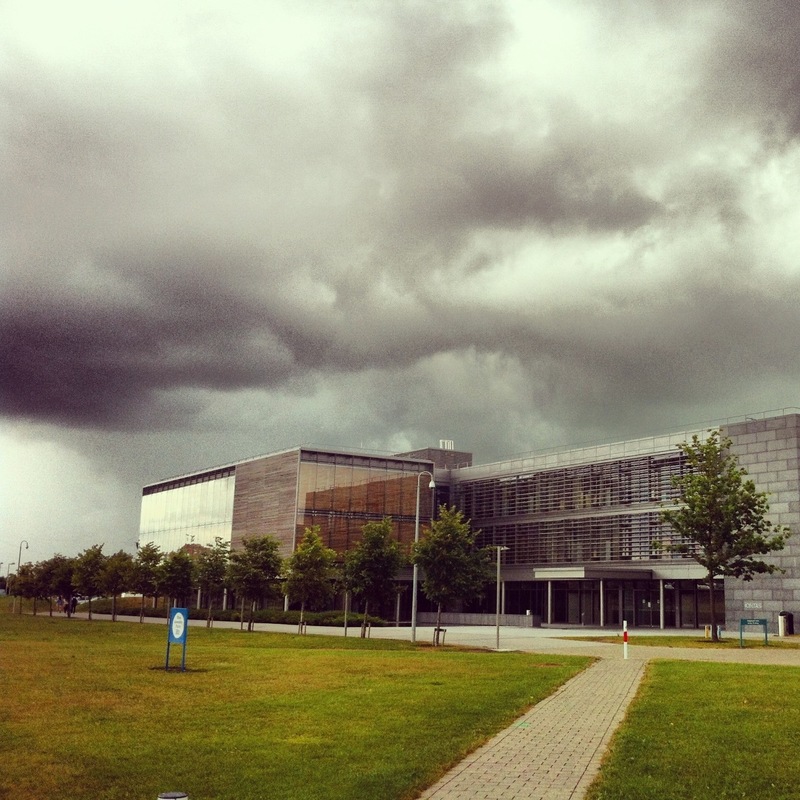 A building on the university campus where I taught for four weeks under typically Irish summer skies. First impressions present Italians as completely the opposite as Korean students. They are lively, opinionated, and vocal, very vocal. The stereotype of a Korean high school student is anything but this, and I come across the remnants of their much discussed experience in the university students I teach. They are generally shy, reserved, and for the most part quiet, very quiet. Now I recall that when I was in university that we were also quiet but that was probably more out of fear that we would be asked a question. We were not afraid that we might get the question wrong, but because we knew we would have no idea of the answer to the question asked. Anyone who ever took a foreign language class in secondary school probably cannot recall the classroom being abuzz with Irish/French/Spanish/German/whatever. I think that this is probably close to the same case with the majority of Korean English language students. Yes, for a person who goes from teaching very quiet and reserved students to a class of lively and mostly enthusiastic students, with the added benefit of being western (even more western than myself I’d hasten to add) it is easy to offer immediate stark contrasts, many of which are likely to have been formed from well established national stereotypes. I’m sure if I stood at a bar in Itaewon or Haebangchon and professed that in fact Koreans were not that different from Italians, and they were in fact more like Italians than actual Irish, I would be shouted down for such a ludicrous assertion. Before I go into detail here, please take into account my experiences. Firstly and most importantly, I don’t really know Italians in any way as well as I know Irish or Korean people. Most of my experience with Italians stems from teaching them over a number of summers in fairly relaxed situations, and I’ve never even visited Italy, let alone lived there, like I have being doing in Korea since 2005. I think that it’s also important to explain about the students I have been teaching; for the most part they all appear to be middle class, relatively well schooled teenagers, mostly of high-school age as far as I could discern. With these things in mind please ascribe your own prejudice to the study sample. Anyway, this isn’t a scientific expose, but more a reflection on my past experience teaching Italians in Dublin on my summer holidays, which may also have some significance as you read this words. I did come across some worthwhile comparisons which allude to national character more so than the demographics and historical comparisons which plague Irish-Korean analysis. At the top of the pile has to be food. Now don’t expect me to give a foodie’s detailed description of each respective nationality’s cuisine. That’s near impossible for me, for now at least. What is significant is that each country is obsessed with food (yeah I know, what’s the big deal?) but more importantly, with their own national cuisine. It could be reasonably argued that a large portion of each country’s economy is powered by its tenacity for its own cuisine. Ireland, unless you count the local chipper on a weekend night, would not fit in here. I know how good and how diverse Korean food is, and while it may have its critics there is little doubt in how much Koreans miss Korean food when they leave the country. Yes, we can all poke fun at the flocks of ajjumma with instant noodles and gochujang stuffed into their suitcases as they travel, but can you blame them when much of what they know in terms of food is Korean food (and Chinese take-away). Expecting them to revolutionise over the space of one-flight, probably in a tour group full of similar minded folk, is probably asking to much. Anyway, they’re happy so what does it really matter? It’s always easy to point the finger at people who do things differently, and especially in Korea where many are particularly reserved. I know that it’s easy to praise younger people who are keen to experience new food from around the world, but again it’s equally easy as one who enjoys variety but dislikes expense to notice that much of the international cuisine enjoyed by many young Koreans is indeed spaghetti with seafood and a cream or tomato sauce, or worse, the evil brunch made up of a sausage, an egg, some salad, and some other concoction. Despite this attempt at snobbery you’ll do well to find Koreans who don’t have a list of Korean dishes they crave after so many days away from a suitable supply, and if all else fails you’re bound to find somewhere to stock up on the always reliable ramyeon. I’d warrant that Italians aren’t that far off, at least the ones I was teaching weren’t. Now granted that the restaurant in the university they were staying in was far from haute cuisine, which could have influenced their thoughts. but a day didn’t go by without some lamenting for “Italian” pasta, or “Italian” food. Their own food of course, which many will tell is fantastic, and rightly so – much like Korean food – but it still bothers me a little when people who apparently obsess so much over food, when given the opportunity to try something other than the stainless steel served chicken and potato slop they’d been divvied out the first port of call for sustenance in Dublin was either McDonalds or Bugger King. Travel broadens the mind and when it comes to food this is especially the case. Koreans, in their defence, were not really allowed to travel up until the 1980s, and even then it was not on their own that they all began to encroach on the UNESCO heritage sites of the world. This way of traveling is only slowly leaving the mass conciousness of the the country, and independent travel is becoming a thing, especially for university and post-university aged people who are eager, for the most part, to acquire stronger English and also to have a good time before they end up having to sell their soul to a full-time job. And I suppose my wonderful Italian students, many of whom had only traveled with their parents (I did a survey) and even then only to neighbouring countries on school excursions or lanugauge exchanges, would be far from an acceptable sample to base my argument on, but I can’t help but find this issue which has been recurring over the past number of years when I have taught Italians in the summer. 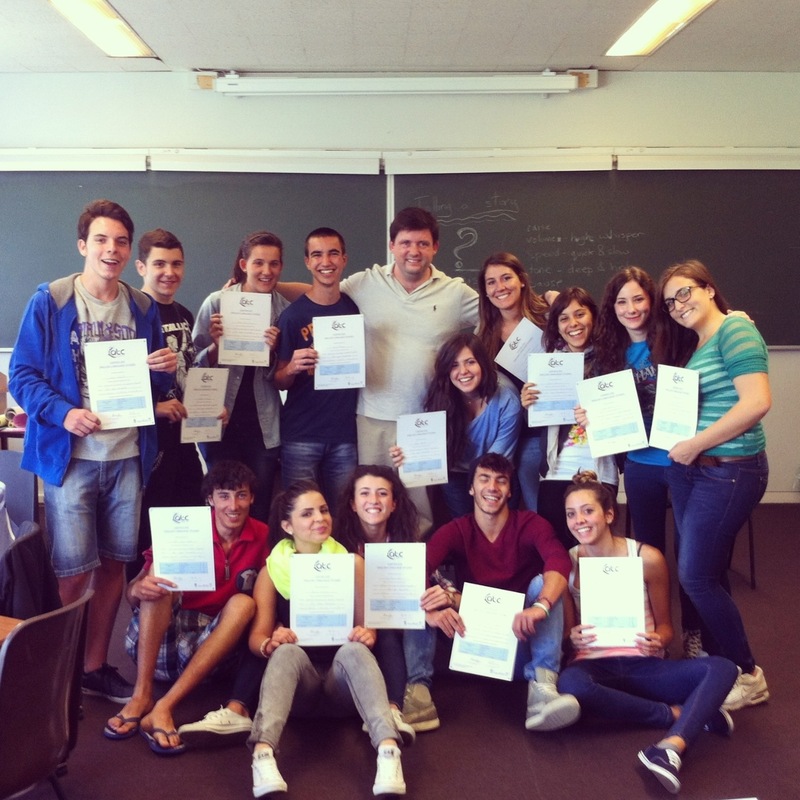 One of my classes of Italian teenagers from all over Italy, with their certificates of completion…and me, grinning stupidly! The other area which struck me a bit more thunderbolt like, and is something which is certainly a recognisable trait in Korea, and that’s image. What always struck me is that the youngsters I’ve taught have always been for the most part, despite the bags under their eyes from self-imposed sleep depravation, very well groomed and image conscious. I won’t say whether they were well dressed or not, but they did obviously take the time to wear what were nice clothes and spend some time fixing their hair in the morning. Now they were teenagers so you can’t expect too much variety from their attire, but that being said even though they were away from their parents they didn’t come in with their clothes hanging off them, unwashed and smelly. I had a conversation about Irish fashion with these students one day and we went on about how Irish people dressed and whether or not we were considered stylish or not. The general consensus was that it was hard to know because they hadn’t seen too many Irish people, and when they were in Dublin it was hard to know who was Irish and who wasn’t. I told them next time just listen to them. The conversation developed over the coming days as I tried to get more information from them on their experiences. It turned out that they were impressed by Irish dress sense (not style or fashion mind you). In Italy, I was told, people always had to take into consideration their appearance among others. That their look was always being scrutinised, and that there were in fact many ways to dress in Italy which were socially unacceptable, especially for women. Does this sound familiar to my readers from Korea? 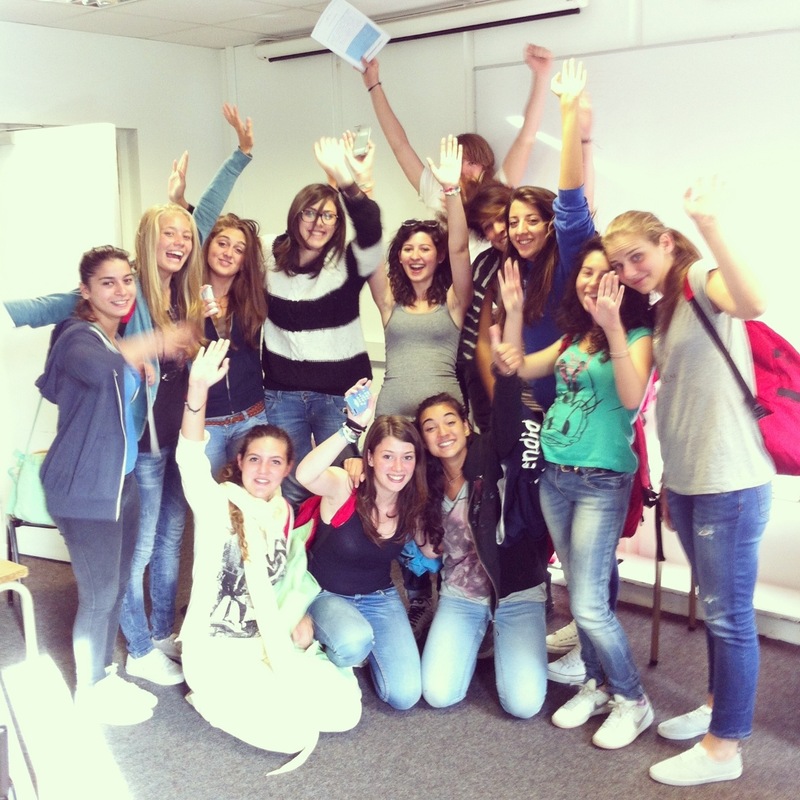 My final class of Italian teenagers before they packed their bags and headed back to Italy. I told them that this was also the case in Korea and I gave them some examples, such as keeping shoulders covered, not showing too much skin or clevage, and some others. These youngs adults explained to me that they were impressed by the general social acceptance of one’s own way of dressing. I explained that sure enough plenty of people probably thought they were stupid looking or whatever, but they empathised that this did not stop them wearing what they wore, and it was accepted that this is how some people dressed in public. I explained to the Italian students, as I was a little misled at first, that don’t be put off by the people on the street who seem scruffy and who don’t apply as much time in the mirror as they may, they probably spent just as much time making sure they looked suitably unwashed. They understood this, but what was important was that they were allowed to do this. I know that Herself has expressed the same feelings about living in Ireland also. She enjoys being in Ireland because there is less pressure to dress a particular way, and to meet a certain standard. This is not to say that she dresses less fashionably or doesn’t apply herself with as much care, it’s just that she has more options in the wardrobe than she would have in Korea. Of course image is important for every country, and Ireland is definitely the case. I found this to be, well honestly, fantastic from an Irish perspective. I don’t think the Irish go out and win too many acclaims from the armchair fashionistas of the world, but too me this seemed to be something to be proud of. Now, I’m sure if they were in another part of Ireland this idea would be slightly less obvious, but still the more I think about it the more likely it is the case….maybe. I know that in this rather drawn out comparison between Korea and Italy may seem to have holes all over it, and I don’t doubt that my arguments and assertions here are quite week. Let me reiterate, they are mere observations, and I hope when you read this, like when you read anything else I read, it gives you the inclination to search around a little more to find another opinion. What I will assert though, to conclude, is that if anything my loose comparison here should be seen as a way of firstly drawing attention to the ridiculous notion that two countries would be so alike as to be compared as twins. But more importantly I hope that I can give you a decent example of how similar every human being is, and that despite thousands of miles seperating us our different upbringings and cultures do have similarities which are indistinguishable, and even when that is not the case, the differences are what make being a person interesting. In the end let us forget that all our blood is red. 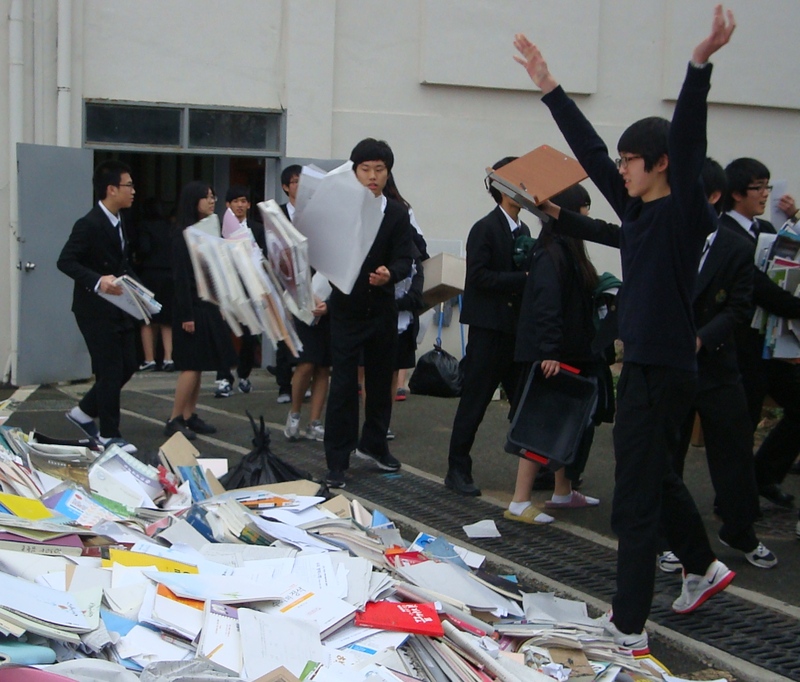 Korea’s EFL Education is Failing, But What Can Be Done About It? Is Korea’s EFL teaching failing? This question was asked by Groove Magazine in its March issue. The article was a comprehensive account of the history of Korea’s attempt to make its population more competitive by making English language skills key to a child’s education. I thought that the answer was pretty straight forward. Yes. Korea’s EFL instruction programme is failing. But maybe it was an easy question. Of course it’s important to set out from the beginning to establish the fact that you’re talking about the governments drive to instil native speaker capabilities among the populace. And it’s important to know that whenever you read an argument like this you have to remember that opinions have already been forged on the barstools of waegdom, so convincing any new comers to the discussion will allow for short work. I always scratch my head when I read these kind of articles which kind of derive expert opinion from English teachers, especially when they talk about Korea. When it comes to teaching English here, there’s a surprisingly large element of teachers who have done two things: never formally studied how to teach language, and never taught English students from a country other than Korea. Now I will mount my high horse briefly and say that I have gone counter to this trend to a certain extent, but not to the extent that I would like to preach too much about it. Still with even a small amount of experience, I think that doing this would change anyone’s opinion about how their learners function. Of course in Korea there’s always a rush to focus on cultural elements, notably the evil Confucianism which is apparently embedded like a cancer in the minds of every individual. While it can be a hurdle to cross, you’ll find teaching students from other countries also have their own cultural problems. Italians students who I taught in Dublin for example, who were the same level as many of my Korean writing students, struggled to put sentences down because, well I’ll give my blunt and honest opinion, they didn’t care about these aspects of the language. All they wanted to do was to be able to talk, talk, and talk. They were certainly garrulous and opinionated, but I found that the Korean students I taught were more technically competent. There’s a certain amount of humility required for perfecting a second language, and many Korean learners have that in spadefuls. But I’m not really here to launch a scathing critique of the article, as it is, despite my comments above, a very comprehensive analysis of what is a jaded and overstretched system which is not meeting the demands placed upon students when they enter university and even the professional world. It’s also a system which is struggling to keep up with a private sector which is bolstered by wealthy and competitive investment which sees the English language as a key ingredient in securing a secure rung on the professional and social ladder. There are some very good points supported by opinions of people who know what they’re talking about. I suppose what bothered me about the findings was that, essentially, there was nothing here that anyone working in the ESL industry in Korea for some time didn’t know already. As I said, it reinforced those barstool dialogues. I wonder if there could be more done though. Could we analyse this situation a little more critically, and also creatively? What can Korea do to make its investment more valuable? I’ve been working in Korea for eight years, which isn’t nearly as long as some people, but I’ve a wide variety of experience in almost every area (except, it must be admitted in the public sector – after-school programmes don’t count). I’ve met a lot of people from many different backgrounds and with varying levels of English, as well as varying levels of enthusiasm for learning and also varying levels of necessity. Both of these are very important. Take my beloved Herself. She is a prime example of the fallacy of English language education in Korea. She went through school studying English, and she studied her arse of it has to be said, and then she went through university studying English again, not as a major but nonetheless she studied, but it wasn’t until she got a job where she actually need to English to communicate with clients and her employer (she worked in an international trading company in Yongsan) that she really learned how to use English. As far as I can work out, she didn’t get the job due to her English ability, but it certainly helped in all her succeeding jobs that she had this experience and ability to use the language in a professional and appropriate manner, which many would say is lacking in much English communication in Korea. But she was fortunate enough to have the necessity for the language to build up her career. One of the main reasons English is so important, and it’s also where the seeds of Korea’s English problem lies, at the moment is because someone decided the language would be very useful for Korea reaching out to the world, and therefore many jobs require a particular standard of English. In many cases it is even used as the defining factor in selecting new employees. This would be fine if these employees actually needed English. There are two problems that I’m hinting at here. The first is basically a lack of necessity or any clear goals for learning English, and the second is a lack of respect for the language and its users. Because it’s not thanks to effort that there has been a failed attempt at teaching the country. It’s clear to anyone who spends a lot of time here that the private sector, both the hagwons that are bulging and the employers who are demanding, is both driving the demand for English. However, it’s also clear to anyone who has spent any amount of time in Korea that other than the basic ability to read and pronounce the language, English is not necessary for every person in the country. But because of the notion that if everyone in Korea can speak English well then Korea will attract foreign investment, and thus strengthen the economy, or something like that. This is beside the point that not everyone in ever company needs to be able to speak English. What is clearly making English a political issue right now is the necessity for English in the 수능 (Korean SAT). However, if it was not necessary and the importance of English was made comparable with other useful second languages (such as Chinese and Japanese for example), the demand for English would dissipate. Now, I know that this would not solve the problems, as it would still put wealthy families at an unfair advantage as they would still be able to afford good quality private education. Still less time would be spent on English and learners who struggle with a language which is completely different to Korean, allowing them to concentrate on subjects in which they have a higher intelligence for. If you’ll allow me, I’d like to offer an example from Ireland. Here we also have to sit a state examination, called the Leaving Certificate, and your results from this examination determine where in the university world you go. For many universities and colleges the basic requirement is a pass in English, Maths, Irish and/or a modern language, with different requirements regarding your level of maths and English depending on your course. There are still exams in other subjects which allow you to beef up your score if you happen to be particularly poor at maths (me), English (me too in terms of my exam performance), or languages (I was no soldier here either). These are core subjects, which are obviously important, but I had strengths in other subjects which allowed me to get enough points to eventually get accepted into a course of my choice. One major obstacle to this which Ireland actually clears is the national obsession with university, which is something that I don’t think will change in Korea. In Ireland, not everyone needs to go to a four year university to be in with a chance of getting a satisfactory job. While of course you can get a job if you don’t go to a four year university, or even a four year university which is not in Seoul, there is a strict social contract which is inhibiting this kind of acceptance. If the Korean system were to allow for more diversity in its student body, not only would it increase competition, but it would also develop a student body which had a better understanding of its interests, its weaknesses, and of course its strengths, especially in the case of languages. Those who necessitated learning languages could do so, while those who were focused otherwise could concentrate on more important and relevant subjects. The problem though with being idealistic like this is that I’m leaving myself open to the trap of the reality of the situation. This reality is wrapped up in a mesh of social norms which are connected to the level of respect that language acquisition has in this country from the perspective of popular culture. Popular culture dominates in Korea, much like every other country, but in Korea it is a very specific national engine fuelled by a demand for a particular variety of music, television, and the characters which inhabit it. Other than occasional western – i.e. American – celebrities, Korean popular culture presents a particular set of norms. While I’m not much of a TV person even for western TV, and the obvious armchair cynic would automatically regard Korean TV as seemingly all the same – it’s not – but the top programmes do seem to stick to a template. That template is loud, brash, and full of people clowning around. Now that’s fine, as many of these programmes do with they’re supposed to do, and that’s entertain. If they ever have English on them they frequently do two things; the speak poorly and make their poor English out to funny, and they act like a person who can string a sentence together deserves some sort of reverence. If you want to have English communication on your television show, use someone who speaks the language well, not some numpty who recites it as if written in Hangul. The same can be said for using people who have clearly spent many years living in the US; you don’t need to sound like an American to communicate in English, and using this as the standard is, again, an unfortunate and unnecessary comparison, as it is far from the norm and ignores all the hard work put in by millions of learners across the country. This is damaging how people deal with the language. When you ask teenagers to interact in a language that is frequently portrayed in comic manner, can they be expected to act maturely when television convinces them it’s hilarious? The seeds of this issue are the belittling of basic English skills by the reverence paid to someone with basic language skills, or even relatively advanced language skills. Yes, these people should be applauded for their language skills, but let’s take a step away from the television and walk into the offices of many major corporations for a second. Here is where you are expected to have advanced language skills. There is no clowning around. It is a standard that is to be met and if you can’t meet it opportunities will be passed over you. Despite what the statistics say in the Groove piece, Korea functions exceptionally well through English, because most of the English communication is carried out at the highest level of business, dealing with international partners, co-workers, and clients, as well as preparing for conferences and trade shows among other reasons. There are thousands, if not millions of Koreans with highly acceptable levels of communicative English, many of whom use it on a daily basis in the private and professional lives, and they do not struggle to do so. But as long as popular culture continues to make a mockery of these people by not choosing to use good, or at least passable-to-decent English, then how can they expect children to take it seriously? If the norm was seen as communicating comfortably and happily in both English and Korean, with less focus forced on learners by necessitating incredibly levels of perfection in exams, there would be a change. There is no need to applaud a person who has studied hard to learn English, or any language or skill to a level of proficiency above the basic requirements. The person who acquired this skill did not do it to be applauded. They did it to make their life better. And to use the words of my grandfather here, it would take a lot praise to fill a pint. What I mean by this is for all the praise in the world, you’re not going to have much in your bank account. For these people English is a means of communication, not an exam subject, and they do not run around blaming a lack of foreign friends or contact with foreigners as an excuse for their language skills. That excuse is like saying I don’t have a computer so I can’t write well. There is no doubt that learning English is not easy for Koreans, but this process is been complicated by the image the language creates in the public eye. To secondary school students this image is undoubtedly negative, symbolised by the necessity to excel to find a place in a leading university, and comical as presented by the (admittedly very intelligent) goons who populate popular loud-mouthed TV shows. Korea can present a more appealing and approachable image for language learners but it needs to take the people who have worked hard more seriously and use them as positive examples of what can be achieved. It’s clear that whatever policies have been chosen in the past have not worked as well as desired. Korea’s education culture is always going to take the steps taken by the government to a more extreme level and a change of strategy is required. Yes, keep investing in classrooms, but a different kind of investment in the people who are the living products of the system will encourage a new mindset in young learners, and hopefully realise the value of the national investment in a language from the other side of the world. On January 5 of this year I went into the main campus of the university where I teach in Korea. I had been nominated or selected/chosen/drafted in to help with the writing of what is notorious here in the land of the morning calm, that what is, is the pyeon-ib (편입). The pyeon-ib is a test for students who are already in a university who want to enter another university, usually one that is better. To get in they have to take two tests, one of which is an English exam of 60 questions. Myself and three other English faculty members were here with a few others from scientific, mathematic, and other humanities based subjects to shape upwards of 8000 hopefuls vying for only a few hundred spaces. It’s kind of popular these days on the peninsula to be a comedian. While this is noticeable if you turn on the television, you do need to leave your home and find a venue in which comedians are doing their bestestest to force giggles and titters, with the occasional guffaw. Comedy is the in thing in terms of entertainment. Of course, like all performance types, it helps if you are actually good at it. While I’m not the kind to point the finger with snide remarks on ability and taste, I do think that standards should be put in place, not necessarily by the venue but certainly by the spectator. Some will probably think I’m a snob. Why shouldn’t someone be able to get up on stage, challenge their inner-demons, and become the talent they have always harboured deep inside? Yes. Why shouldn’t they? Or, in fact the statement should really be how could they not?